There’s something about the crisp air, cozy vibes, and warm colors of fall: it just seems to bring out the best in people. There are, of course, exceptions to this notion (looking at you, rude Uncle who asks me EVERY Thanksgiving if I’m sure I’m not still pregnant) but an overwhelming sense of gratitude and thankfulness seems to permeate the season. When you think about it, chances are you’re reading this on some kind of device: despite not knowing any other circumstances of your life, I can actually guarantee this part. It’s important to acknowledge just how fortunate we really are, and one of the greatest lessons we can impart to our children is to work hard and be kind to others, while being grateful for what we have and how we live. If you’re interested in adding even more reasons to be thankful this autumn, consider helping your children (within reason and accommodation of age for each activity, of course!) complete random acts of kindness. Whether you do these for a family member, a public service worker, or a complete stranger, the objective of spreading kindness and teaching your children how to be empathetic and giving is meaningful and significant. Perhaps the thing that started the “Random Acts of Kindness” movement was the notion that we should pay it forward—both figuratively and literally. 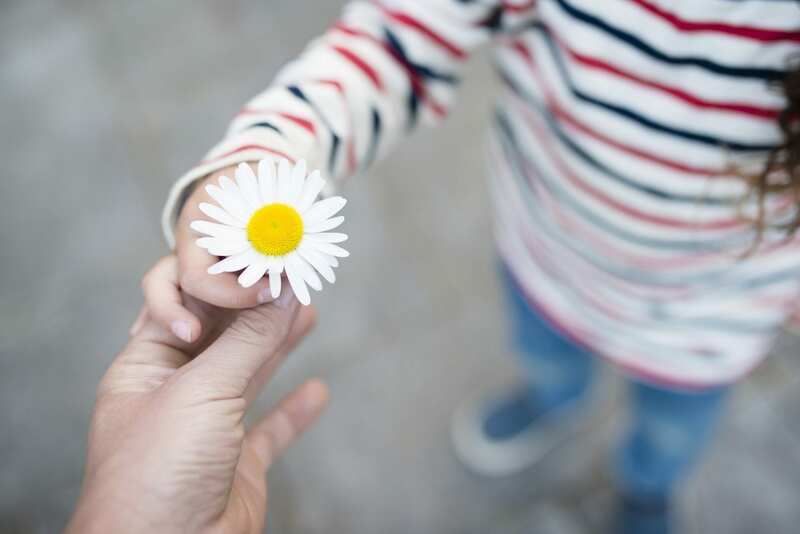 Explain what this means to your child in a way that he or she can understand, with emphasis on the idea that one person’s kindness can, in turn, inspire hundreds of others to do the same with one seemingly small gesture. Do this in the drive-thru, when ordering coffee, or even by leaving spare change at the vending machine with a small note. Children don’t participate in this as much as they observe it: but the teachable moment of doing this is still vital. Public servants are those who often go unrecognized in our communities—and it’s high time that changed in yours, don’t you think? These mail carriers, firefighters, police officers, sanitation workers and more are the ones who help us to live as comfortably and safely as we do. From making baked goods to distribute around the holidays, to ensuring you’re doing your civic duty and acknowledging the hard work that these people do every day, you’re teaching your child that these jobs matter. That they are vital to the way we function as a society, and that you’re grateful for them. Leave bottles of water or sports drinks out for the delivery driver. Make cards and give them out (along with goodies!) to your local electricians and fire department. Simplest and most meaningful of all: thank them. Have a discussion with your child about what these wonderful people do, and remind your child to thank them when they see them out and about. It makes a world of difference for those in these often thankless jobs. Encourage your kiddos to call their grandparents. Take your children to visit elderly aunts and uncles, church members, or those you know who are sick (within reason). Have your child help with a meal for a your friend/coworker/sister-in-law with a new baby. Don’t let them forget that kindness doesn’t have to be shown in grand gestures: it starts with small steps towards changing everyone’s experience for the better. If we begin doing these small things (and more!) with our children, we can only hope that the ripple effect will be helping many more than we ever realized: and, in the process, we teach our kids that being kind matters, and that they have the ability to make a difference in someone else’s life.